Description: set of handcrafted cufflinks. Made from solid precious sterling silver. Handcrafted and hand stamped cufflinks. 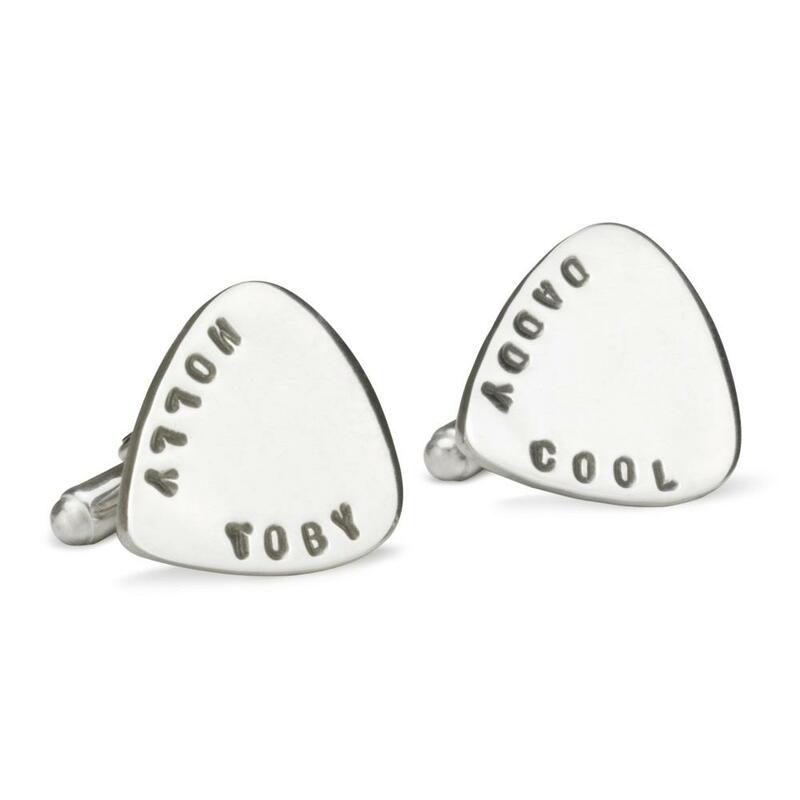 These cufflinks are in the shape of guitar picks and would be perfect to have a favourite musician or band stamped on the cuffllinks. Great present for a hard to buy for Rolling Stone. Dimensions: These cufflinks are 22mm top to bottom and at the widest point it is 17mm across. Engraving and font: the font available is the font seen in the picture. 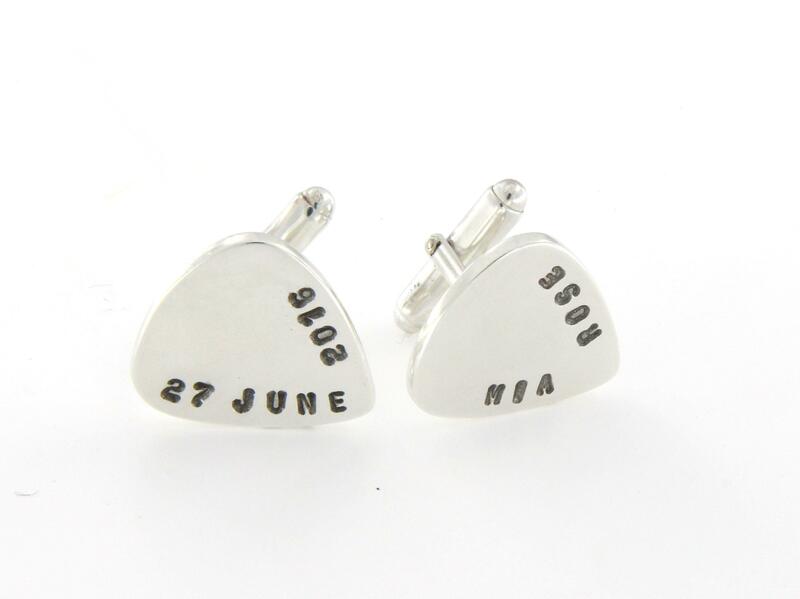 It you have less names or longer names we can simply stamp the cufflink with names one under each other in a horizontal fashion.